Love him or hate him, Sierra Leone’s vice president Foh has in the last 100 plus days in office become the government’s ubiquitous Mr. Fix It. 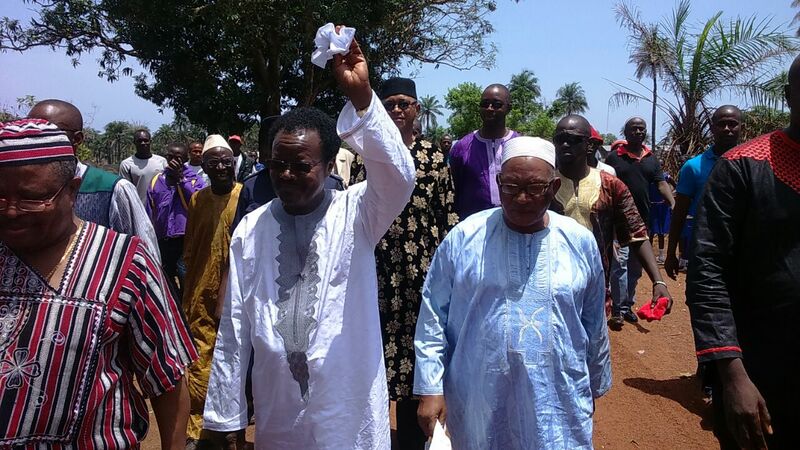 There are rumours in Freetown that he has become even more popular and hard working than his boss – the man who appointed him to replace the deposed VP Sam Sumana – president Ernest Bai Koroma. But many believe that his growing popularity is no accident. After all, he has travelled the length and breadth of Sierra Leone visiting far flung communities, towns and cities to drum up endorsement and support for his 2018 presidential aspirations. He is widely-rumoured to be the one who will soon replace Koroma as leader and Chairman of the ruling APC party, and go on to contest the presidential election in 2018. What must be said though, is that VP Foh is no slouch. 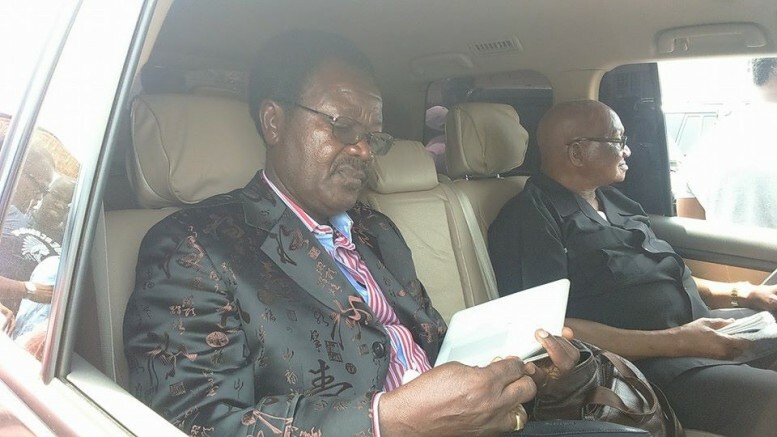 He is working very hard and there is plenty of evidence to suggest that he has done more, in promoting good governance in the last 100 days, than his boss – the now all grey haired and tired looking president Koroma has managed to achieve in 8 years. Perhaps this could be explained by the fact that Foh has had decades of political and professional experience, working in the civil service, including serving as senior official in the Stevens government in the early 1980s. In the last three months, VP Foh has made a mark with several speeches on key issues of national importance, such as women empowerment, police and politics, post-Ebola recovery, and decentralization of governance. And yesterday 3rd July, he added to his portfolio of speeches by speaking at the launching of the national food and nutrition security plan, which took place at the Radisson Blu Hotel Complex in Aberdeen, Freetown. Our membership of the Global Scaling Up Nutrition Movement in the past two years witnessed considerable gains. Three main reasons led us to adopt this global initiative. In the first place, after five years in governance, we became painfully aware of the huge cost of under-nutrition on our economic and human development, and the devastating effect of malnutrition on our children and hard working women. Secondly, it became imperative for us to revamp food production and reduce under-nutrition to its barest minimum. Finally, we needed to establish a direct relationship between under-nutrition and the prevalence of infectious and other preventable diseases. Hence in 2012, with a new mandate from our people, we renewed our commitment to the people of this country to fight against hunger and malnutrition, and to build a well-nourished and prosperous nation. Our Scale Up Nutrition plans were well underway until last year when Ebola struck with its horrible toll on all facets of society, especially the health sector. However, the Ebola epidemic only slowed our progress, but it has never wiped out our determination and commitment to building a healthy and prosperous Sierra Leone. Food and nutrition security is certainly one endeavor we will pursue without relenting, because, it is a significant dimension of our economic and human development. Our resolve to attain prosperity shall therefore be without hindrance. With this determination, we have prioritized Food Security in our Agenda for Prosperity. We have further placed the project within the Presidency, and as Vice President I am going to coordinate and provide superintendence and give it political support. Our Government will continue to provide support to the SUN Secretariat until we reach and exceed our targets. For a start, we have, in collaboration with our Partners, designed a Food and Nutrition Security Implementation Plan (FNSIP). This Plan will guide us in achieving the targets we have set for ourselves in attaining Food and Nutrition Security, and building a healthy nation. Led by the Office of the Vice President, considerable efforts have been invested into the design of Implementation Strategy. Several Partners and other non-state institutions and actors have also participated in the process, so as to ensure a collaborative approach to achieving our goal of food and nutrition security. To a large extent, the FNSIP will serve to boost food and nutrition security issues in the National Development Agenda, especially in the fight against Ebola and other infectious diseases and in the post-Ebola Recovery Phase. It will also serve as an advocacy tool for mobilizing resources on behalf of nutrition implementing agencies, and will broadly encourage and motivate nutrition stakeholders to use the Strategy as a working document accepted by all. It is an easy-to-use step-by-step guide towards ensuring Food and Nutrition Security in Sierra Leone within the next few years. It involves a multi-dimensional approach, and certainly, therefore, it requires a multi-sectoral partnership by both state and non-state actors and institutions. As we have heard from the National Coordinator, the Food and Nutrition Security Implementation Plan has four interlinked components. We hope that these components will reflect the outcome of a participatory approach involved in the design of the FNSIP. Let me thank all those partners who have supported us in putting the plan together. It is my fervent hope that this partnership will be strengthened and fully utilized as we embark on implementing the Food and Nutrition Security Plan. on this note, it is now my pleasure to launch the Food and Nutrition Security Implementation Plan, and to wish us well as we embark on implementing the Strategy. Food and Nutrition is a good idea by the VP, but it should be accompany by proper educational system. When people are educated, they become more inform about how to take care of themselves and their children. The lack of proper education in Sierra Leone has elevated the poverty level in all areas. As the saying goes you teach a man to fish so he will be able to feed himself for life time, but if you feed him and don’t teach him, he dies as soon as you stop. Therefore the main focus should be on education on a broad level for all citizens. The government should stop thinking for people and start empowering them to think for themselves.